On the auspicious occasion of Raksha Bandhan, children from SOS villages from Guwahati and Hojai tied rakhi to Assam Governor Prof Jagdish Mukhi and the first lady of Assam Prem Mukhi at Raj Bhavan in Guwahati on Sunday. Narrating the significance of ‘Raksha Bandan’ to the children Prof Mukhi said that festivals like this strengthen the edifice of mutual co-existence in the society. Moreover, interacting with the children, the Governor asked them to aim high and believe in hard work and dedication to reach their goal. The Governor extended his gratitude to the children and assured to extend all possible help for the organization. Also in a message, Prof Mukhi said that the pious occasion of Raksha Bandhan would strengthen the feeling of brotherhood and augur a sense of responsibility towards brother-sister relations. 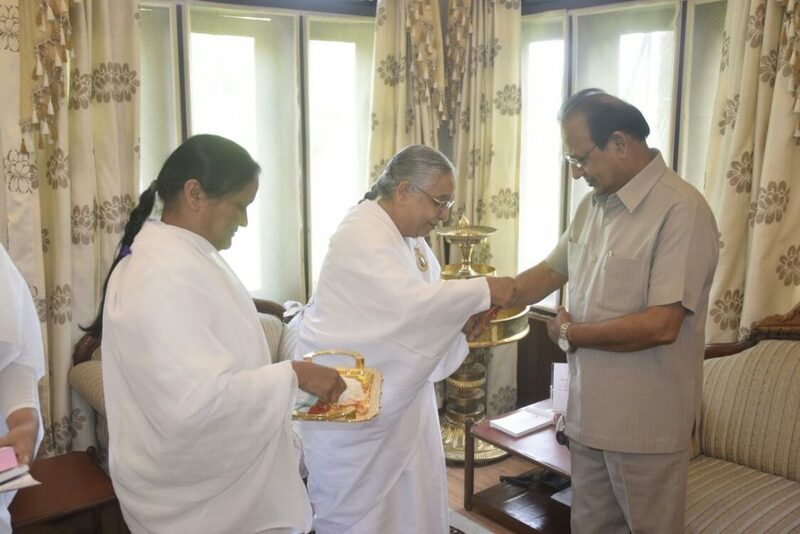 Earlier sisters from Prajapita Brahmakumari also had come to tie rakhi to the Governor.